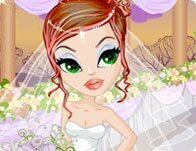 Description: Help the ice princess in this Elsa wedding makeover game where she would like to look her very best. Change her hair and clothing to achieve this as soon as possible. Instructions: Use the mouse to customize Elsa.